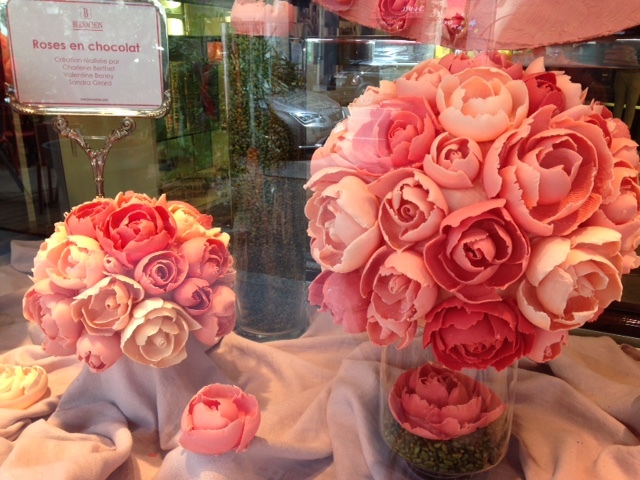 May 2015 – Gina Diamond's Flower Co.
May 29, 2015, posted by Michelle – This weekend Lyon is hosting the annual Festival of Roses and roses are literally everywhere! At City Hall there was an exhibition of floral arrangements created by the top 50 floral designers; some were architectural, some whimsical, some classical but all were creative and beautiful. Then I wandered out into the city where rose compositions and displays were set up in various squares and gardens. I have so many photos I’d like to share that I created a few galleries so you can see everything at a glance. Click on any individual photo to enlarge it. Enjoy! 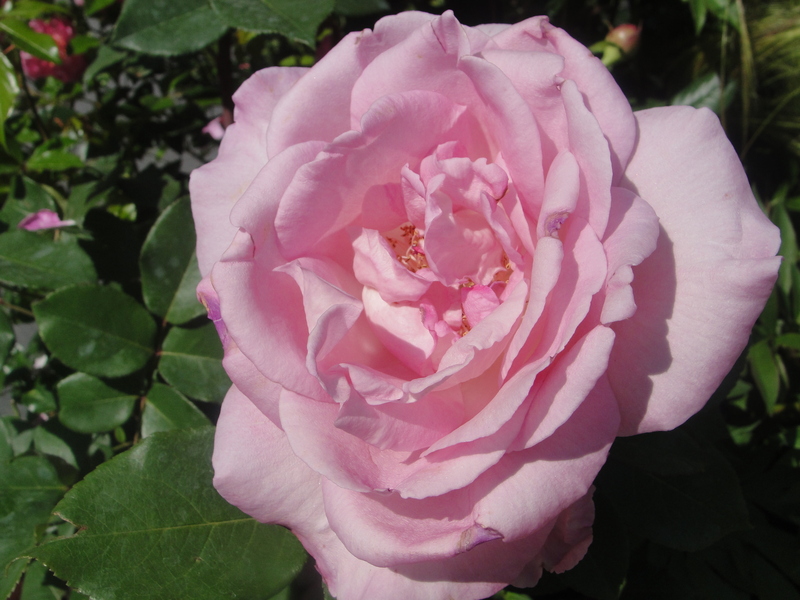 Have you been to a rose show that really impressed you? Do you grow roses or, like me, do you just dream of them? We’d like to hear from you so if you have a comment please click on the title of this post and the comment form will appear at the end. 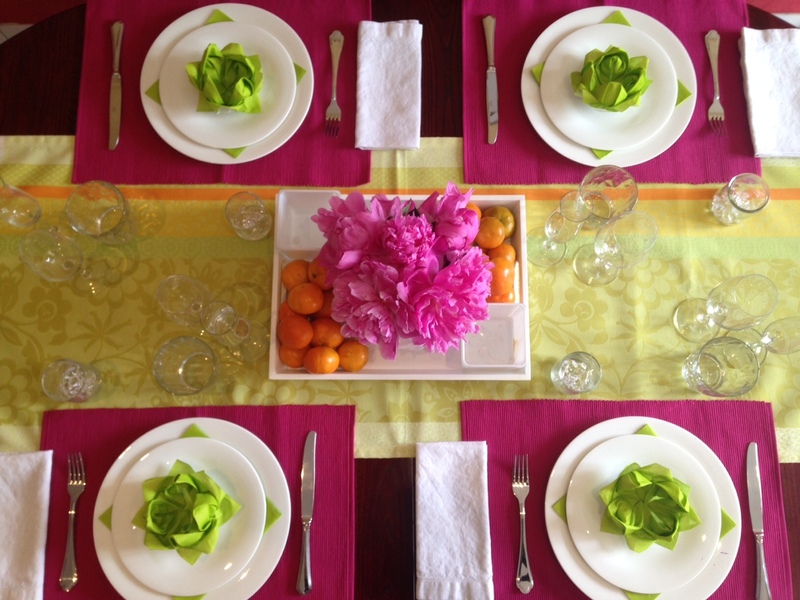 Do you add special touches to your table? Do you like using bright colors or do you prefer more subtle tones? We’d like to hear your thoughts so please leave any comments you may have by clicking on the title of this post and a comment form will appear at the end of the post. 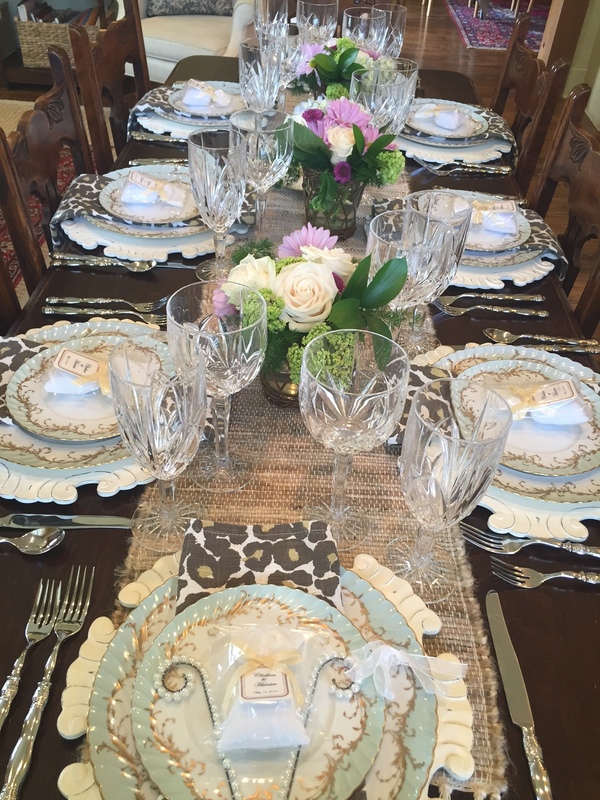 May 22, 2015, posted by Gina -Last weekend several hostesses, including yours truly, gave a bridal luncheon for a very special young lady (see more about the table settings HERE). She requested spaghetti as the main dish but after much thought we decided baked ziti would be a better alternative, if only because it’s a little easier to eat! 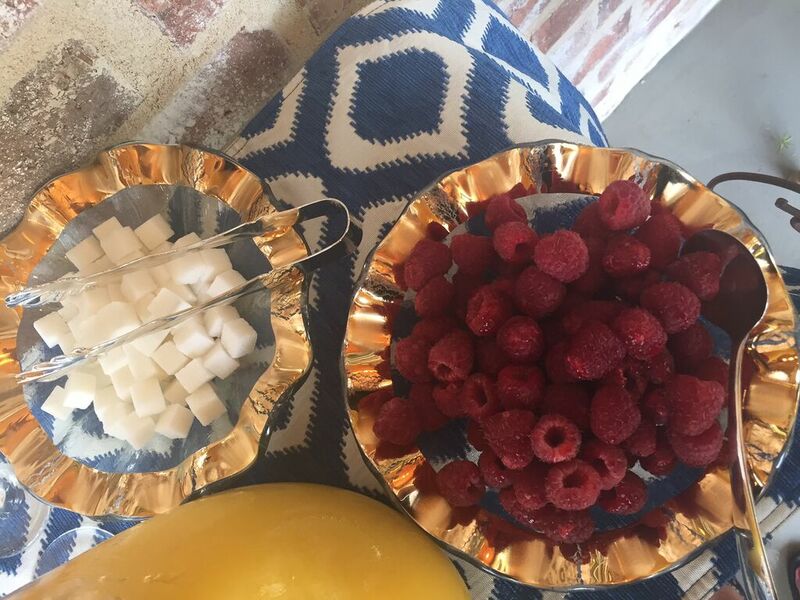 We set up a champagne bar with St. Germaine liquor, orange juice and cranberry-raspberry juice, orange slices, fresh raspberries, and sugar cubes (think Moonstruck). 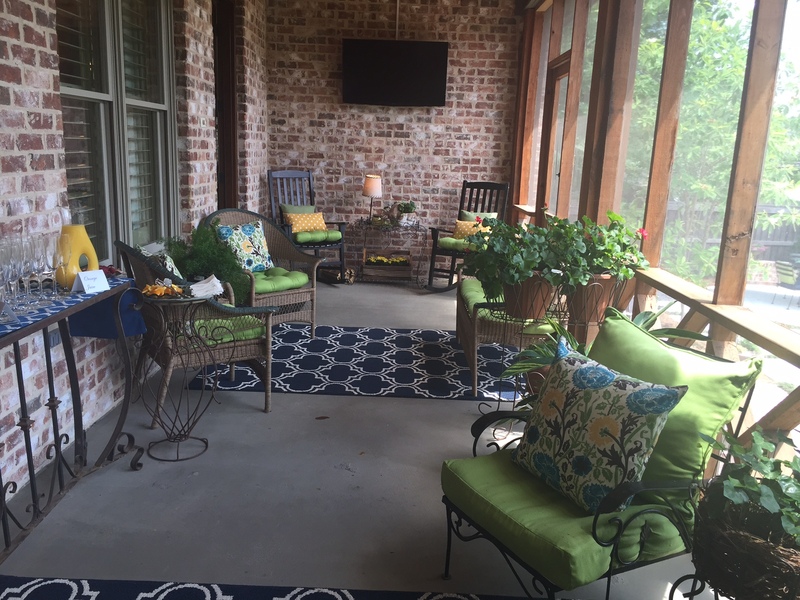 The ladies absolutely loved the champagne and being outside on the screened-in porch on such a beautiful spring day. 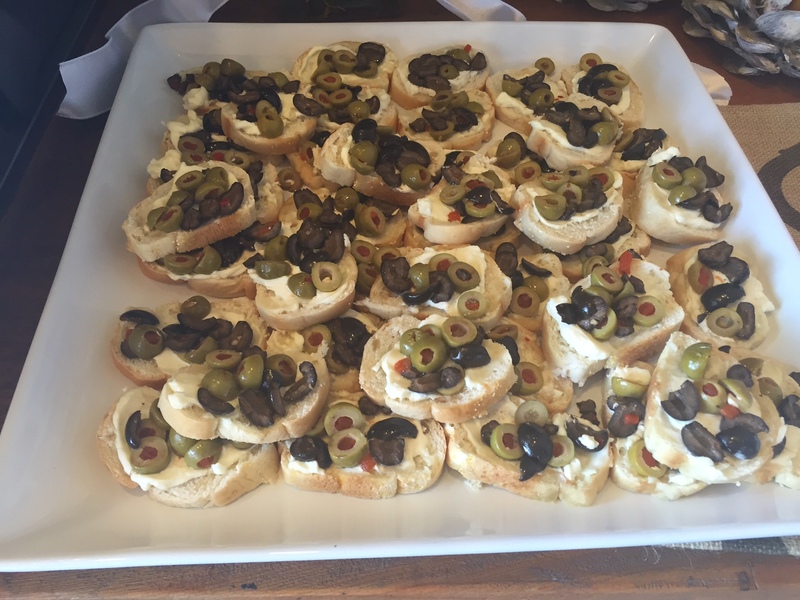 Fresh baked olive bread and cream cheese topped with an amazing brown sugar, Worcestershire sauce and pecan sauce served as the appetizers. After appetizers everyone gathered inside for a few words of congratulations to the bride and a prayer of thanks before lunch. If you’d like to leave a comment, please click on the title of this post and the comment form will appear at the bottom of the post. We’d like to hear from you! May 22, 2015, posted by Gina – Last week nine hostesses (yours truly among them) organized a bridal luncheon for a young lady who, as most of us have known her her whole life, is near and dear to our hearts. 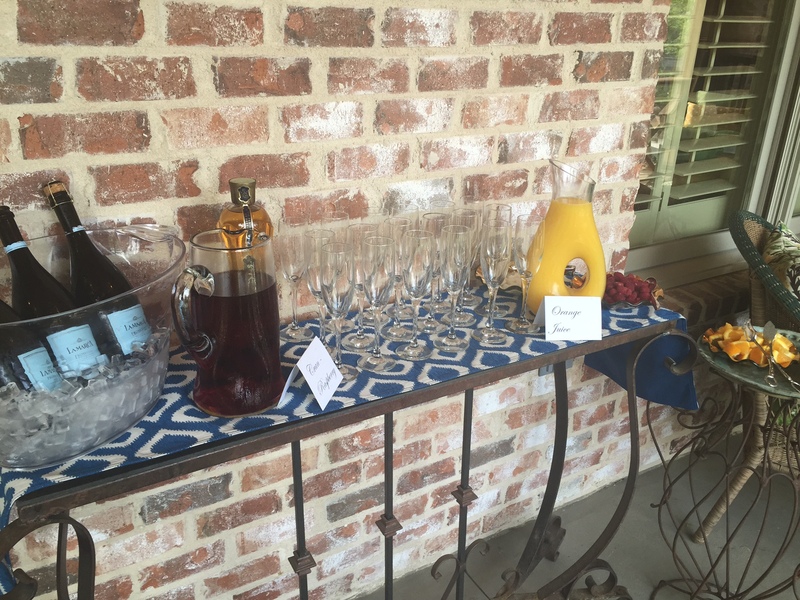 We also hosted a bridal luncheon for her sister last year; yes, that’s right one after the other! 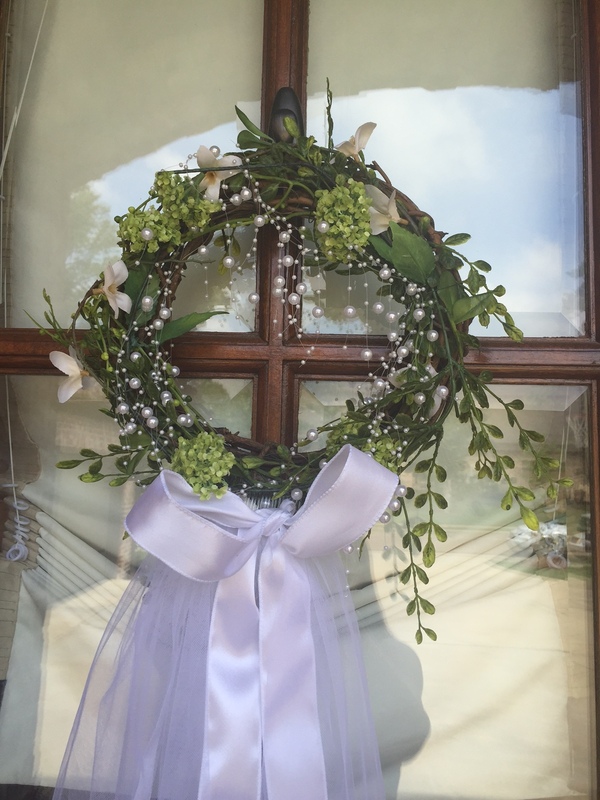 Guests were signaled to the house by a small hand-tied bouquet with large white ribbon on the mailbox and the theme continued as guests were greeted by a bridal veil halo arrangement on the front doors. The ladies were guided to a screened-in porch that was the setting for a champagne bar and appetizers (click HERE for information about the food and drinks). After lunch the bride-to-be was presented with an apron monogrammed with her married initials and a wonderfully cute story about the history of the apron was told. 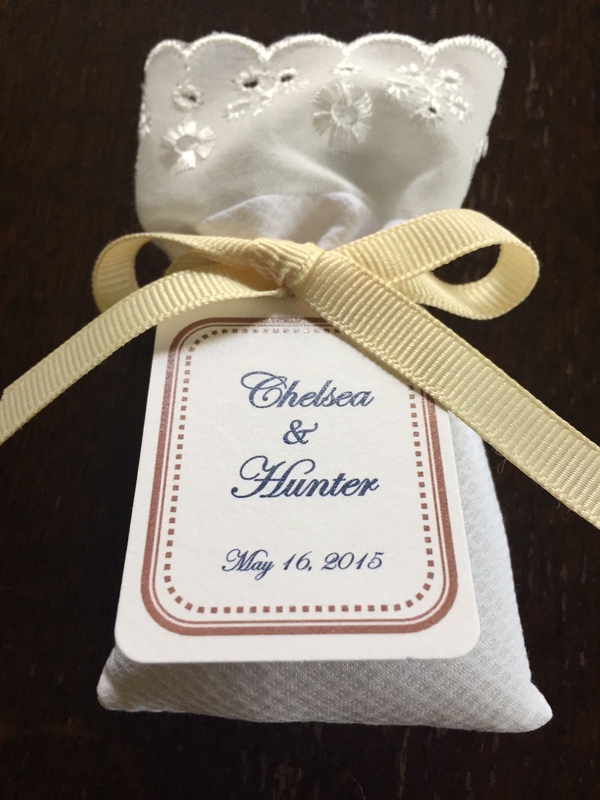 Earlier, while the guests enjoyed appetizers, they were given wooden spoons and asked to write a message about marriage to the bride on the spoon as a keepsake. One of my favorite quotes was from My Big Fat Greek Wedding, “The man is the head of the household but the woman is the neck and she can turn the head anyway she wants”. The blue and white china is Spode Blue Italian, a design icon. In the 1700’s blue and white china was very popular around the globe as the UK and Europe were flooded with imports from China. In 1773, imports began to slow down although demand for blue and white remained high. Spode’s blue and white collections were very popular in America where the tableware reminded the settlers of home. In 1784, Josiah Spode perfected the process of underglaze printing on earthenware with tissue paper transfers made from hand engraved copper plates. Initially, the designs were reproductions of the Chinese porcelain that had been so popular in earlier years. Spode launched original designs such as Willow, Tower and Blue Italian in 1790. Blue Italian features scenes of the Italian countryside, remarkably detailed figures among Roman ruins and an 18th century Imari Oriental border. About the table: I used a French inspired tablecloth (source: HomeGoods, a recent purchase), toile placemats (source: Pier 1, purchased many years ago), rattan chargers (source: Pier 1, purchased many years ago), vintage cream napkins with a brown border (source: antique store), tortoise crystal (Pier 1) and Bamboo Flatware (source: Ballard Designs). The Castle Garden pattern was manufactured by Lenox in the United States from 1973-1993. It features a strong floral border with hints of a medieval coat of arms (thus the name Castle Garden) on a cream background with raised gold trim. About the table: The tablecloth has the look of burlap but the softness of a cotton fabric (source: purchased at Walmart years ago). The gold beaded glass chargers add a bit of glamour (source: One Kings Lane, recent purchase). The napkins are made by Vietri, the flatware is King Edward silver-plate and Rose Point silver-plate (source: Mother-in-Law) and the crystal is Lenox Hayworth. The Duchess Blue Green is by Royal Tettau, a German porcelain manufacturer which started producing patterns in 1794. 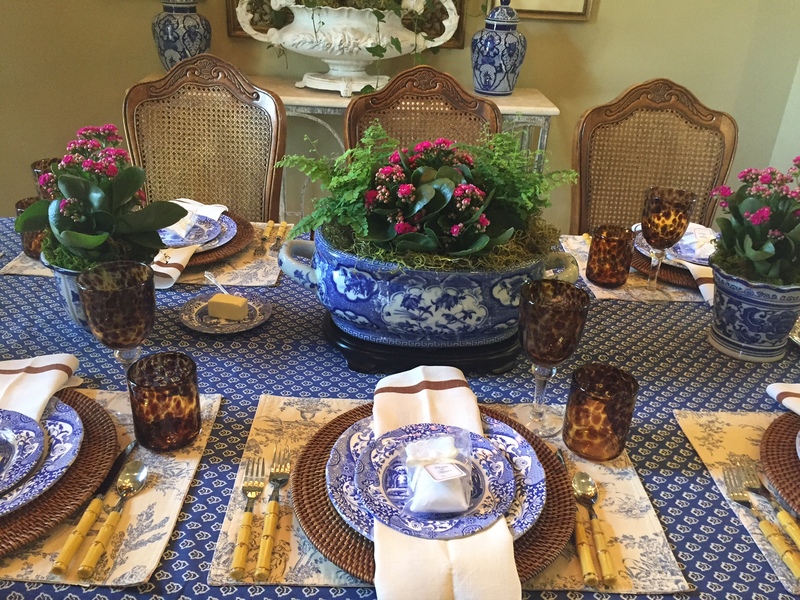 Duchess Blue Green has a beautiful blue green border with gold flowers and leaves accenting each piece. 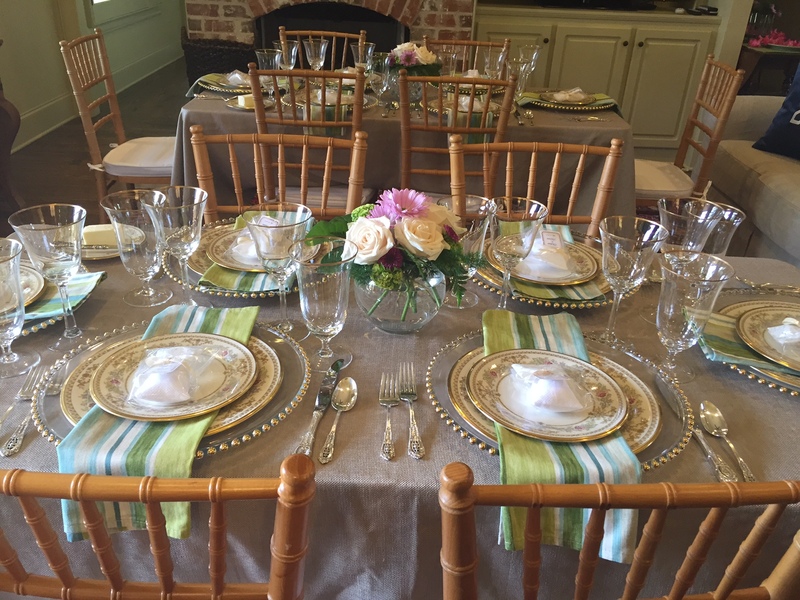 About the table: Grass cloth table runner (Source: Homegoods), White wooden chargers (Source: Pier 1), Leopard print napkins (Source: Split P), Crystal is Waterford Marquis (Source: Dillard’s), Flatware (Source: Southern Living At Home, purchased years ago). May 12, 2015, posted by Michelle – I have a cousin who lives next door to me, relatively speaking. She lives in Northern Italy and it’s just a five hour drive from Lyon. She’s a great cook and she has a huge vegetable garden (perhaps there’s a connection there?). I love visiting her anytime but especially in the summer so I can help her and her husband enjoy all those fresh veggies. Last summer she made a delicious lunch of things from the garden including some fried squash blossoms. Apart from having the squash blossoms and eating a salad or two with a few flower petals sprinkled on them, I don’t really know much about using edible flowers. 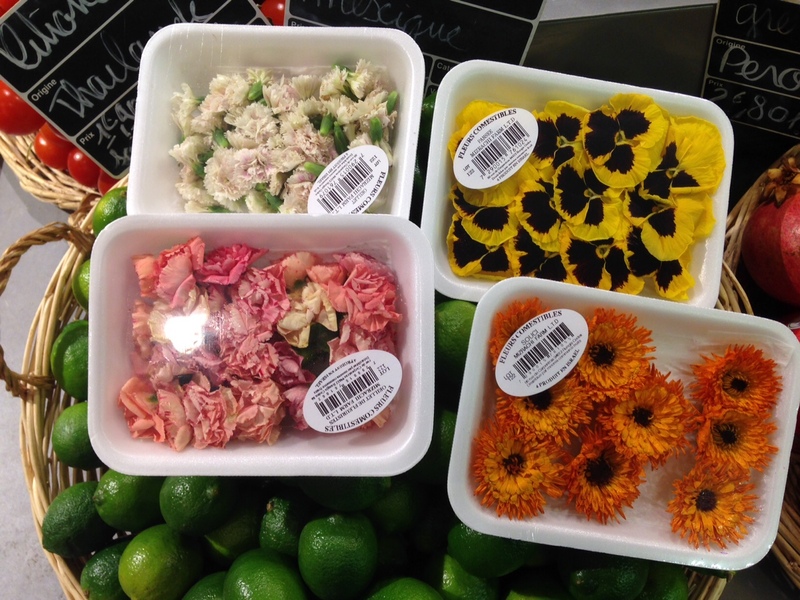 Yesterday I was in Monoprix, my favorite French grocery store, and saw these pretty edible flowers in the produce section: pansies, pink and white carnations and marigold. 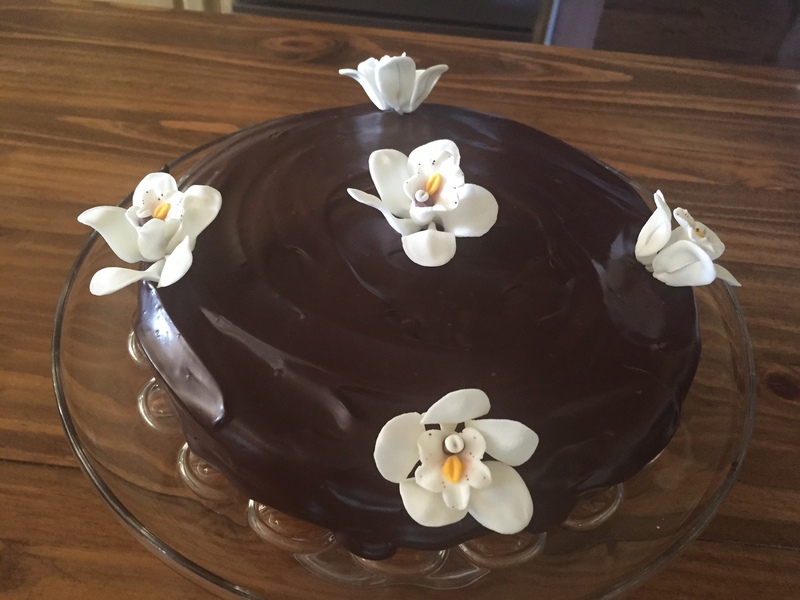 I found some recipes online that call for edible flowers that sound really nice like lavender honey cake, cold chocolate soup with cardamom and chocolate covered pansies and hibiscus, raspberry and vanilla mousse. Now that I know where to get the flowers, I may try to use them in some recipes. I’m having some ladies over for lunch next week which seems like the perfect occasion to make some flower accented dessert. Can you find edible flowers where you live? Have you ever eaten any? 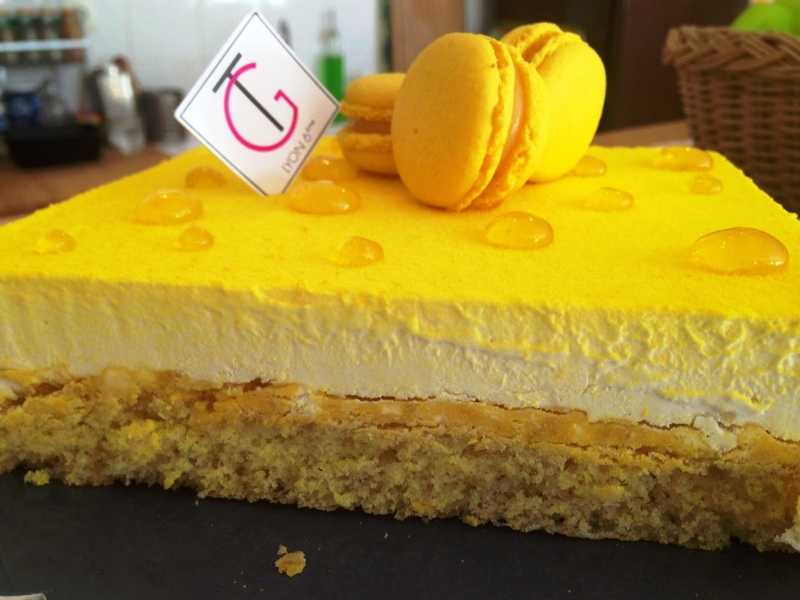 Do you have any edible flower recipes you’d like to share? To leave comments just click on the title of this post and the comment form will appear at the end of the post. May 8, 2015, posted by Michelle – I have done a little traveling around France recently and wanted to share some photos of a few gardens I came across. They are all very different but each has its particular beauty and make me wish I had even a little tiny space for a garden. 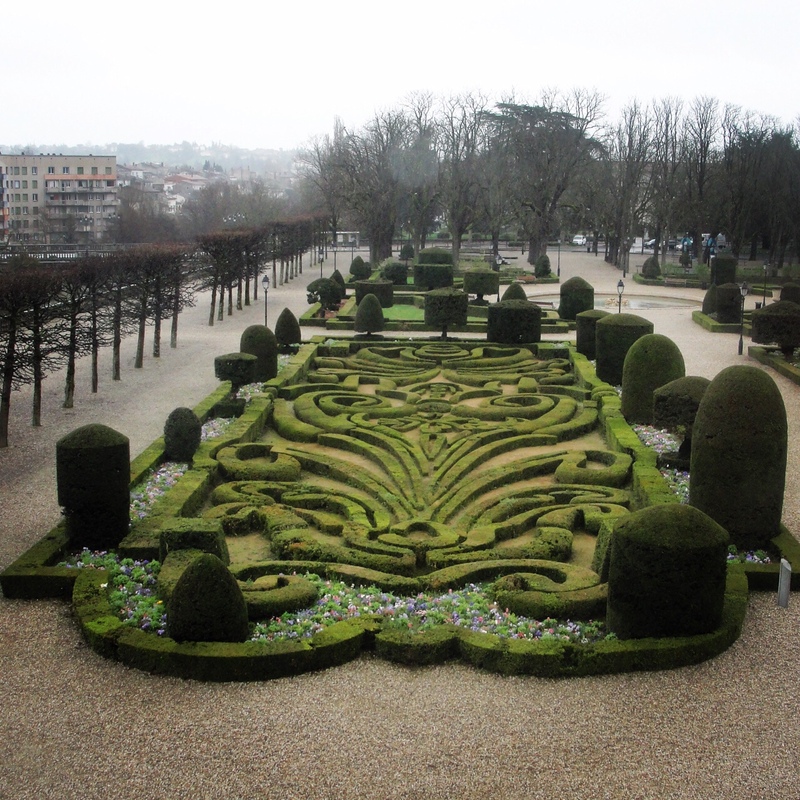 The shot above is of a formal Le Nôtre garden on a rainy April day in Castres, France. 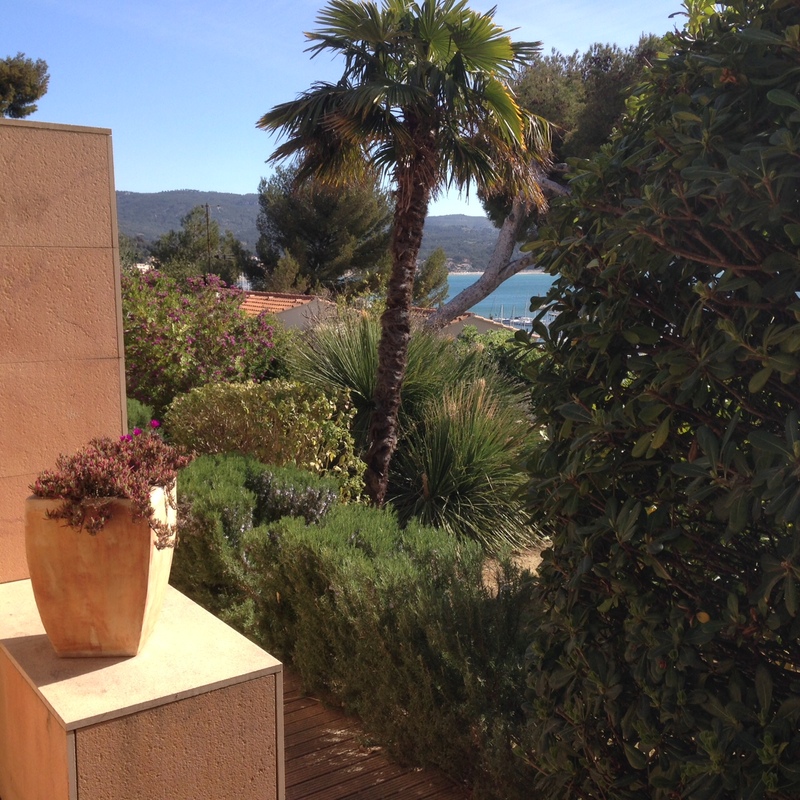 Some lucky homeowner in Bandol, France gets to enjoy this lush garden overlooking the Mediterranean. 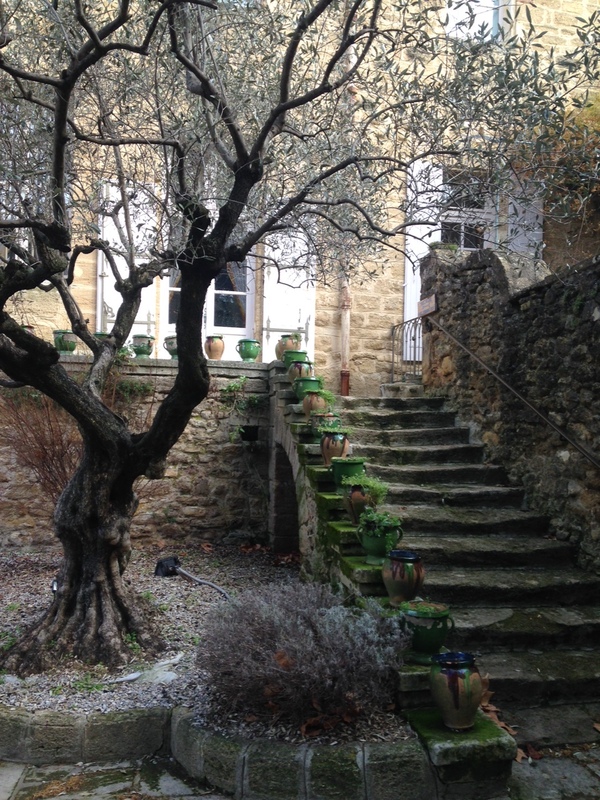 A beautiful olive tree and glazed pots on mossy stone steps at the Château de Rochegude, Rochegude, France. Have you been inspired to recreate elements of gardens you’ve come across in your travels? 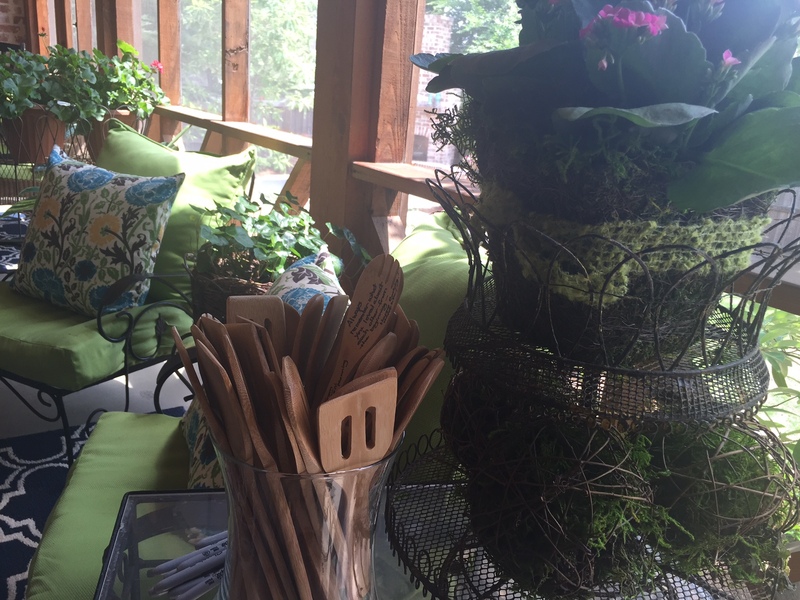 Where do you get inspiration from – magazines, garden centers, websites and blogs, friends’ gardens, all of the above? Leave us a comment by clicking on the title of this post and the comment form will expand at the end of the post. May 8, 2015, posted by Michelle – Earlier this spring I was in Bandol on the Côte d’Azur for a few days and, as usual, found myself taking pictures of whatever caught my attention. 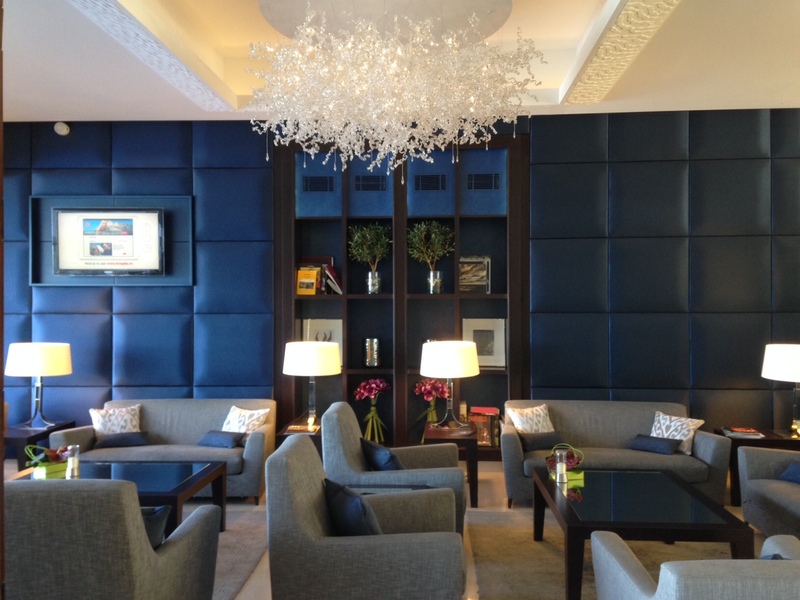 I really loved the lobby of the Hôtel Île Rousse, especially the chandelier. The blue, white and grey color scheme was modern and fresh and the lime green rectangular planters injected a pop of color and were surprisingly placed on the corner of each coffee table rather than in the center. 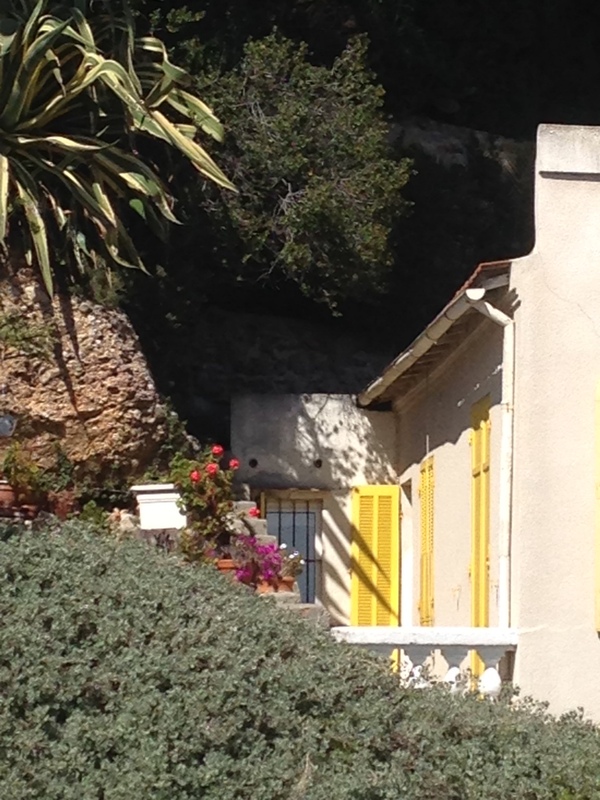 The cheery lemon yellow shutters on the otherwise sober façade of this house perched on the coastline made me smile. 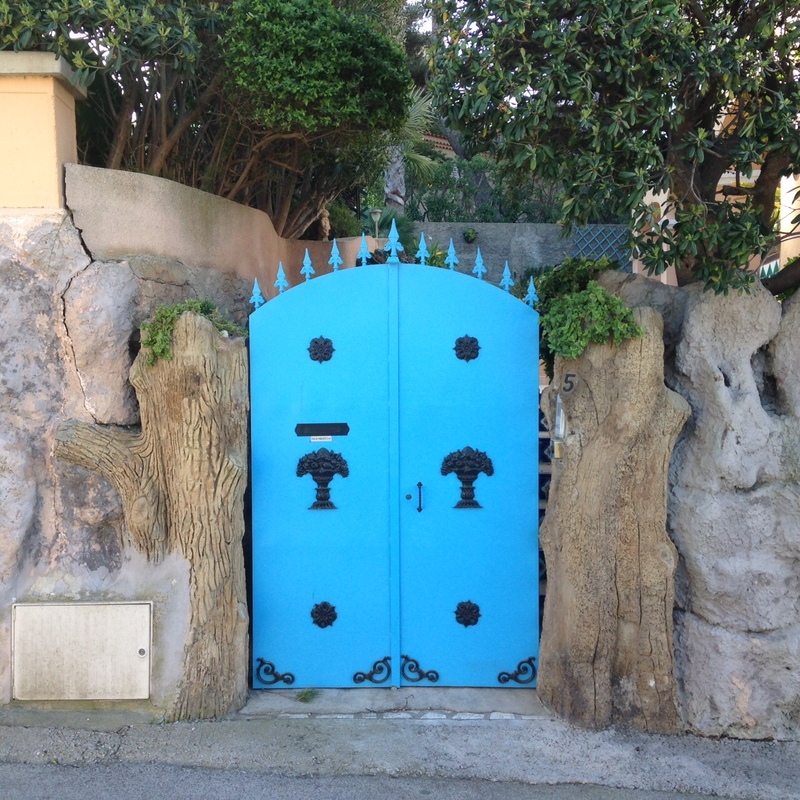 Breathtaking color and I’ve never seen a stone wall, tree trunks and a gate incorporated into one entry point! Do you have certain colors you tend to gravitate towards? Or maybe you like changing accessories and re-painting according to trends? Tell us how you use color in your home, just click on the title of this post and the comment form will expand at the bottom of the post. 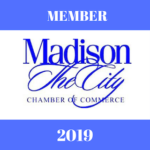 May 8, 2015, posted by Gina – I am a member of a wonderful garden club that meets once a month August through May. Throughout the year we have knowledgeable and interesting speakers who educate us about everything from gardening to flower arranging. Our year end meeting is always at the home of a member who has a spectacular garden and the garden this year was beyond amazing. Sadly, I was so busy talking that I only took two photos but I did have a good time! The New Dawn Roses you see above were picture perfect. They are repeat bloomers and have a slight fragrance. 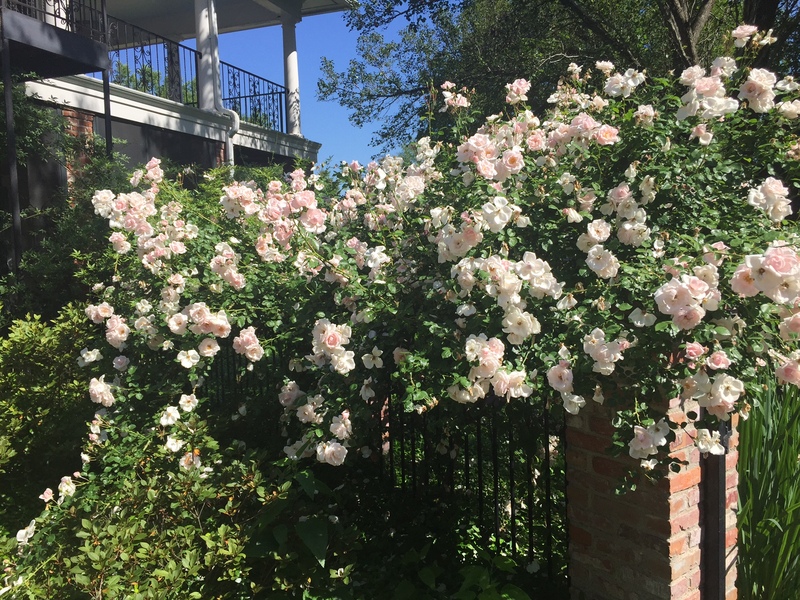 The soft pink petals cascading over the fence make a very beautiful display. I am about to have a trellis built in my yard and had not selected the roses for it but after seeing these, I am sold. 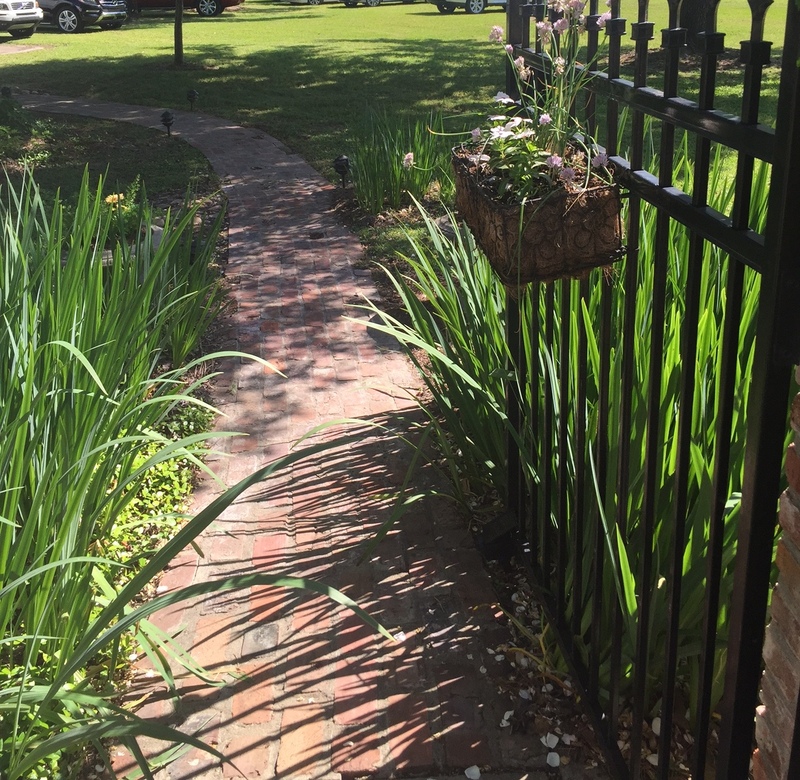 The garden path is lined with irises and a small basket of flowers hangs cheerily on the gate. I have never thought using irises along a pathway but after seeing this I am going to implement it somewhere in my own garden. Everything in this garden was so welcoming and creative. I promise next year I will arrive early and take photos before I start talking with everyone. Happy Gardening! Are you a gardener? Do you belong to a garden club? Are you always planting, weeding, landscaping, building, etc. in your yard? We’d like to hear about your garden or your love of them. Please share any comments you may have, just click on the title of this post to expand the comment form at the bottom of the post. 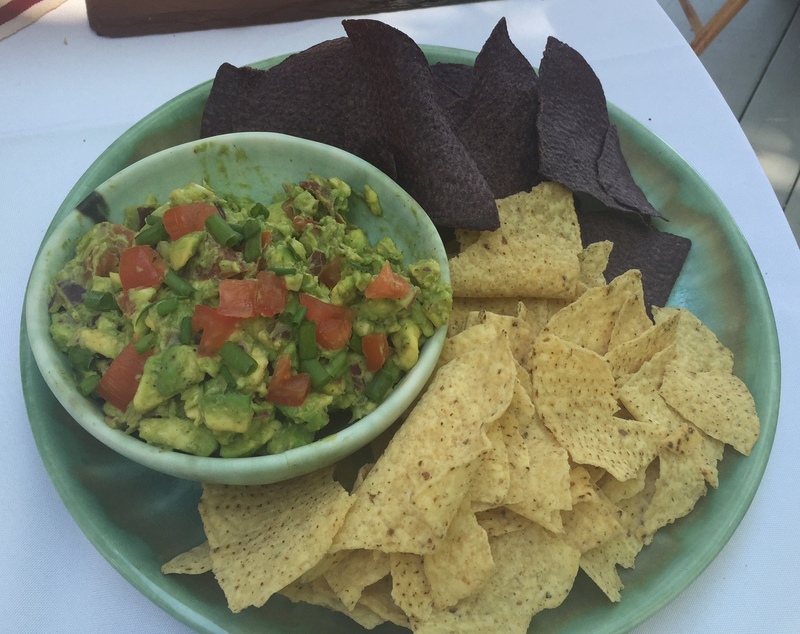 May 6, 2015, posted by Gina – Yesterday, my Cookbook Club met for a Cinco de Mayo lunch. 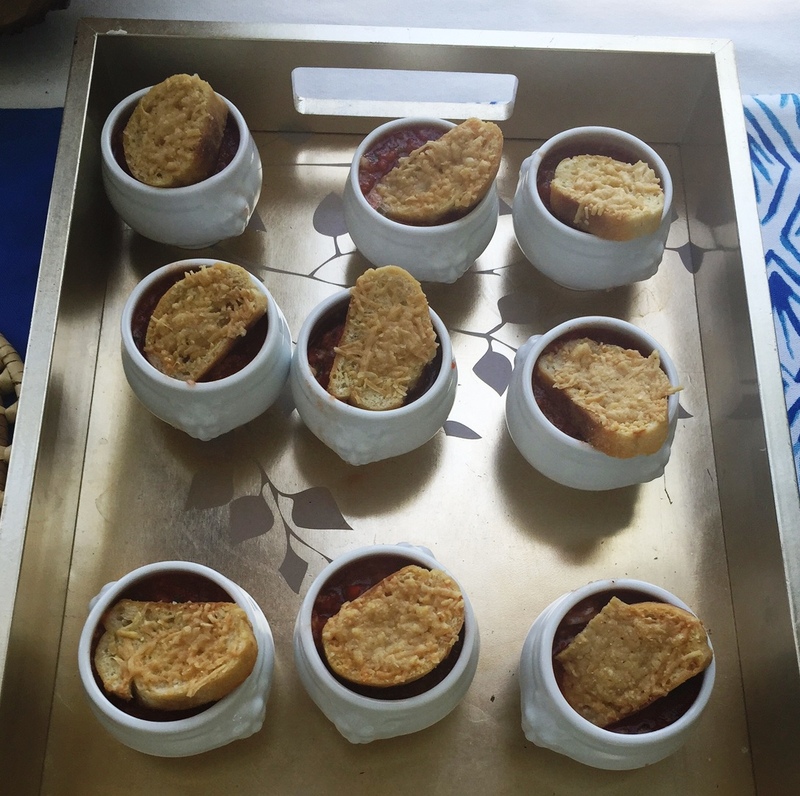 We are currently working our way through the Barefoot Contessa Cookbooks and you’ll find links for each recipe throughout this post. The hostess set up her boat house so that we could enjoy the day right on the water. It was quite a beautiful sunny day, not too hot, with a slight, pleasant breeze. Idyllic! We started the festivities with margaritas and what I can only describe as the BEST GUACAMOLE I have ever had. For a start, the super fresh avocados and tomatoes had everything to do with setting it apart. 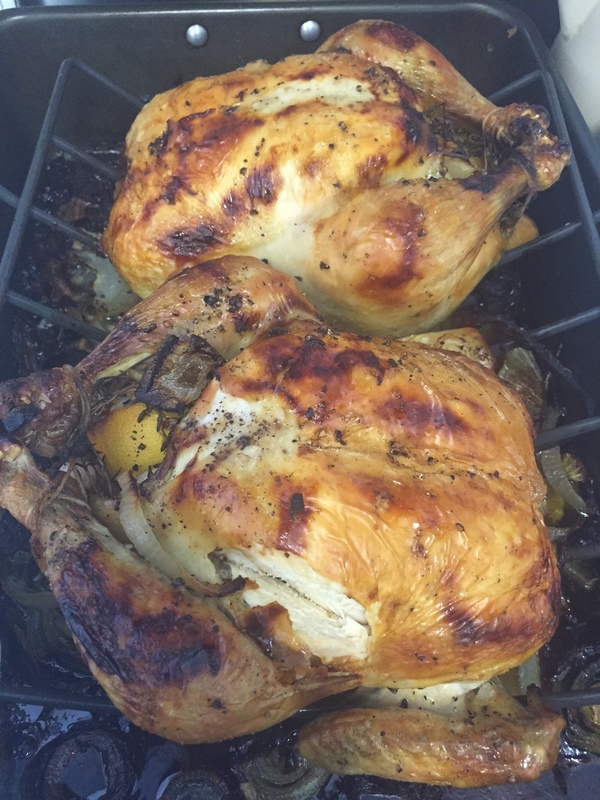 It had a bit of a kick from the 8 dashes of Tabasco sauce and lemon juice, rather than lime juice, brightened it up. Combine all that with some minced red onions and garlic and you have the perfect guacamole. After enjoying the appetizer, we served GAZPACHO topped with homemade parmesean croutons, ROASTED CHICKEN, ORZO with ROASTED VEGETABLES and ZUCCHINI with PARMESEAN. My favorite dish was the orzo with roasted vegetables; the dressing, the feta and the pine nuts married so well with the vegetables. For dessert we had FROZEN KEY LIME PIE and CHOCOLATE GANACHE CAKE. The pie had a great flavor although I think I prefer a regular key lime pie. The ganache on the cake was delicious and while the cake was good, there are other chocolate cakes I like better. 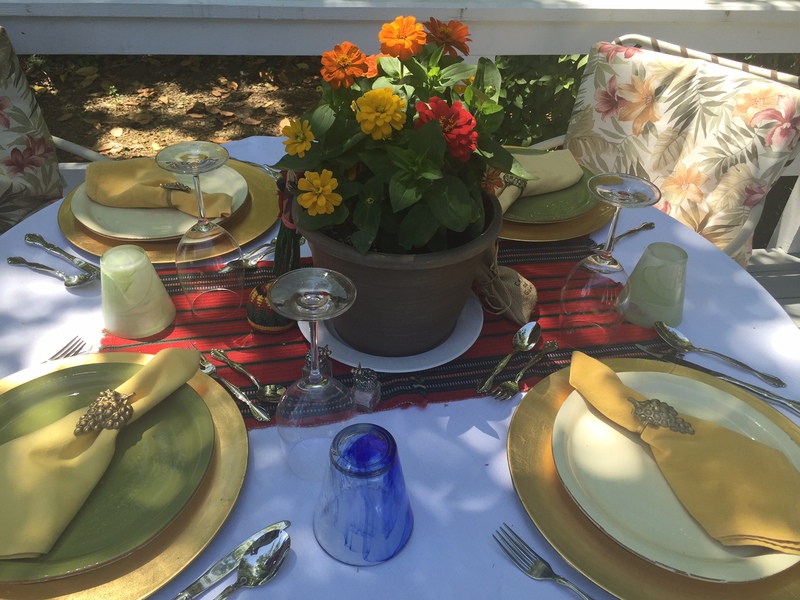 The tables were set with brightly colored plates and napkins and pots of zinnias for centerpieces. 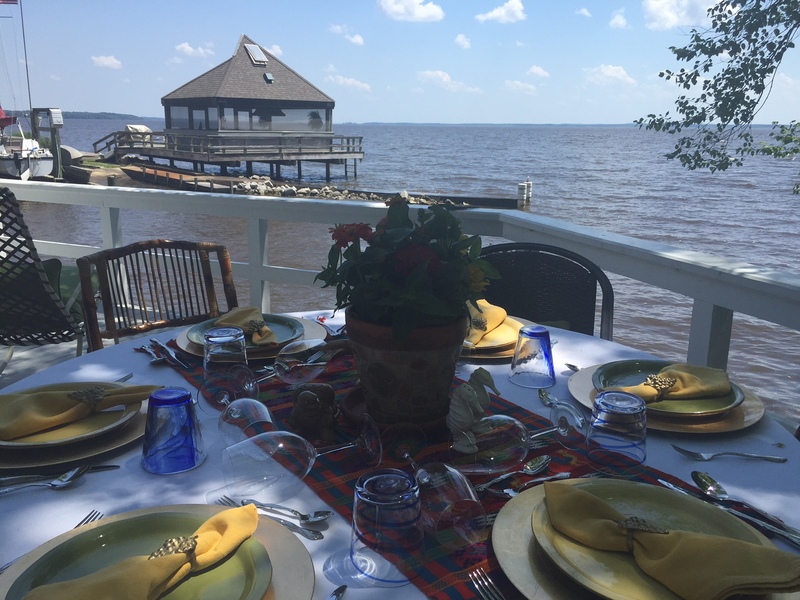 The setting, the perfect weather, a delicious lunch and great company made this a very enjoyable day. Do you do anything special for Cinco de Mayo? Maybe you prepare an authentic meal or just head to your favorite Mexican restaurant for margaritas? Do you have a favorite spot on a lake or river where you can get away? We’d like to hear from you, so if you’d like to leave a comment, click on the title of this post and a comment form with unfurl for you at the end of the post.